Welcome to The Canadian Scottish Regimental Kit Shop. As of 20 Apr 2016 we are physically located within the Canex at CFB Esquimalt. As of late 2016/2017 we are in the midst of producing a new lineup of goods for the Kitshop such as new blazer crests for Snr NCO's and Officers. As of today 28 Jan 2017 they have been approved and will go into production. When they physically hit the shelves at the Canex, it will be announced. We are currently having new cap badges and unit coins produced, they will be sold on the web site as well. New non wicking T Shirts and Sweat pants are being produced for the troops in the unit, but can be purchased by all on the web site in due time. Hunting Stewart Ties and Royal Scot ties are also being worked on. Were hoping to get travel mugs produced as well, there is also a proposal for a more high ended fighting knife with C Scot R markings to make it our own. Please Note: There are some limitations on the Regimental Kitshop since this new distribution arrangement has been struck with the Canex. We are limited as to the items that we can stock; the Canex is a business and has to uphold certain business rules/protocols, so many of the items that do not sell or sell only occasionally cannot be sold by us, but they can be purchased directly from the sellers web sites. Below please find a list of items and where you can get them from. 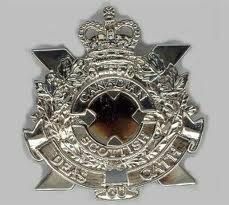 If you find other items that might be of interest to the greater "Canadian Scottish Regimental Family" please forward that information including link to the Webmaster and they will be added to the below page, thanks for your time and patience.